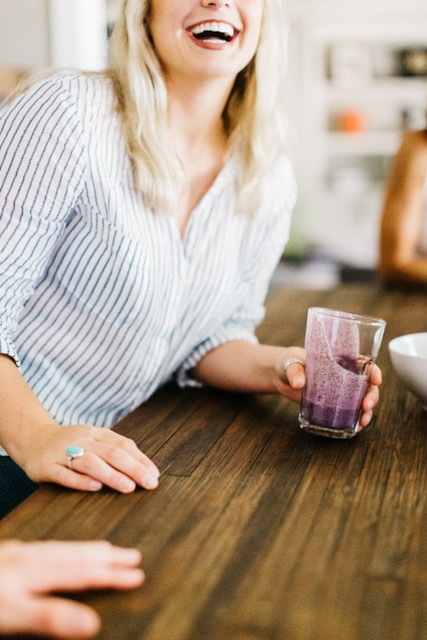 As a reminder of the supplement sale going on this weekend and to enter my smoothie basket giveaway with Whole Foods Market that I posted yesterday, I will be posting a few of my favorite smoothies this week! Optional Add-ins: 1 cup Spinach, 1T Chia seeds, 1T Hemp Seeds, 1T Flax Seeds, 1/2t Spirulina, and 1T Bee Pollen. Maca is SO good for your adrenal glands! Maca comes from a root that has a restorative affect on your adrenal glands, which in turn can boost your energy levels. Drinking too much coffee, being under too much stress, and exerting ourselves beyond our limits have a taxing effect on our adrenal glands. So Maca is a great supplement for just about everyone. Furthermore, Maca can also help balance your hormones, need I say more? Add all of your ingredients into a high speed blender and blend until smooth! Feel free to add more liquid if needed. Great to have for breakfast, post workout, or as a snack, its a well-balanced, filling, and restorative treat!